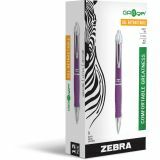 Zebra GR8 Retractable Gel Pen, Medium 0.7mm, Violet Ink, Violet/Silver Barrel, Dozen - GR8 Gel Retractable Pens feature a wide-barrel gel and contoured, soft rubber ribbed grip for writing comfort and control. 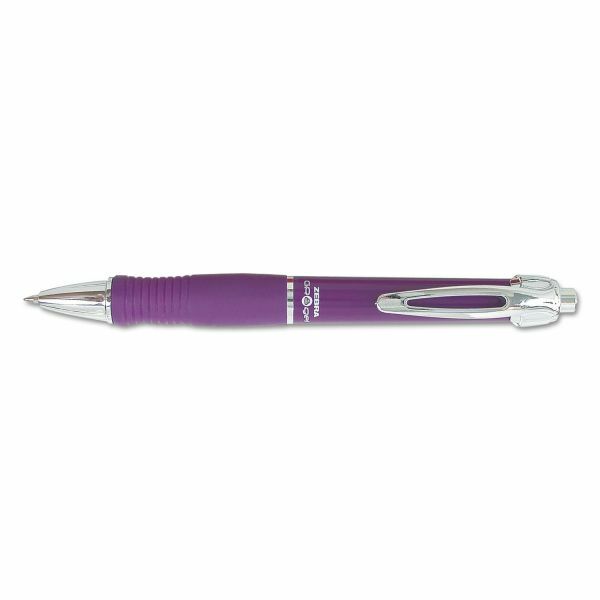 Smooth-flowing gel ink delivers scratch-free writing. 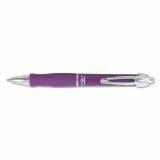 Silver-coated cone, ring clip and retractable plunger create a stylish design. Grip color matches ink color. 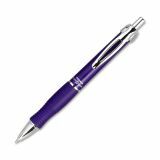 Pen includes a medium point; super sturdy pocket clip; and acid-free, archival-quality ink. Pens are nonrefillable.